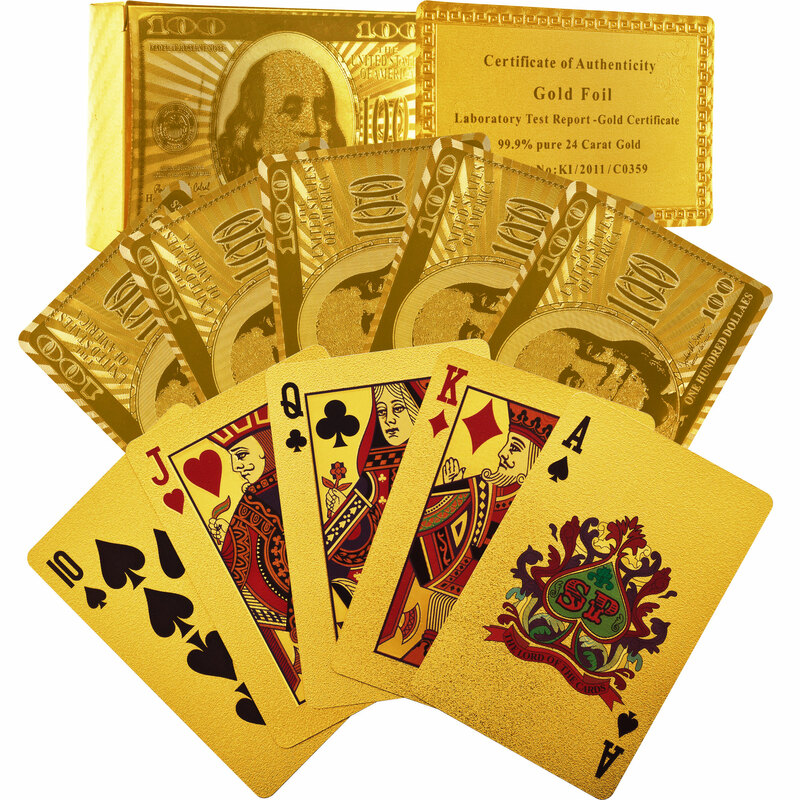 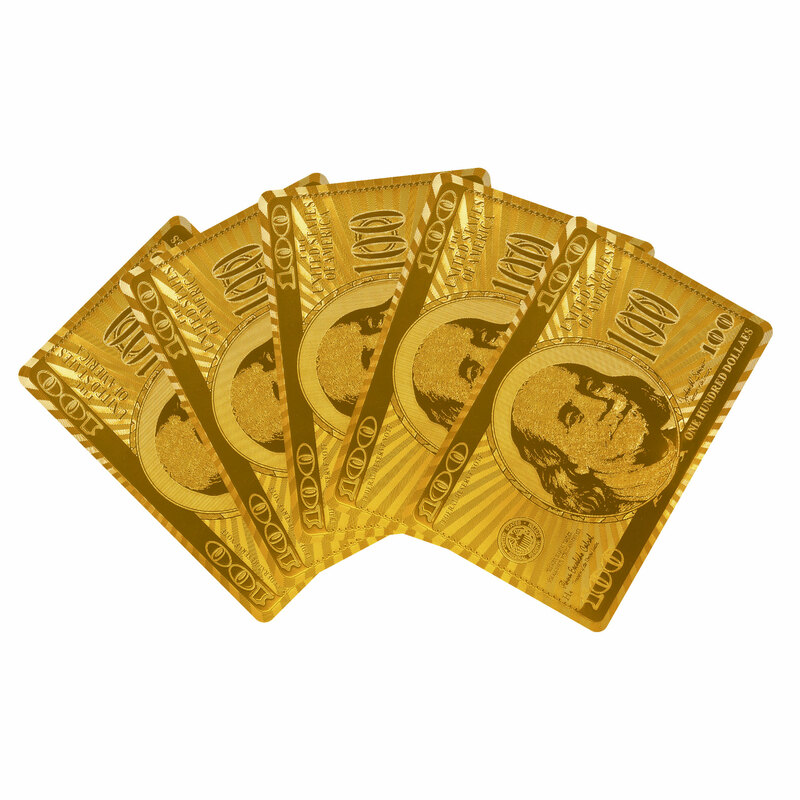 Raise the stakes of any card game with these 24k Gold Foil Playing Cards by Trademark Poker! 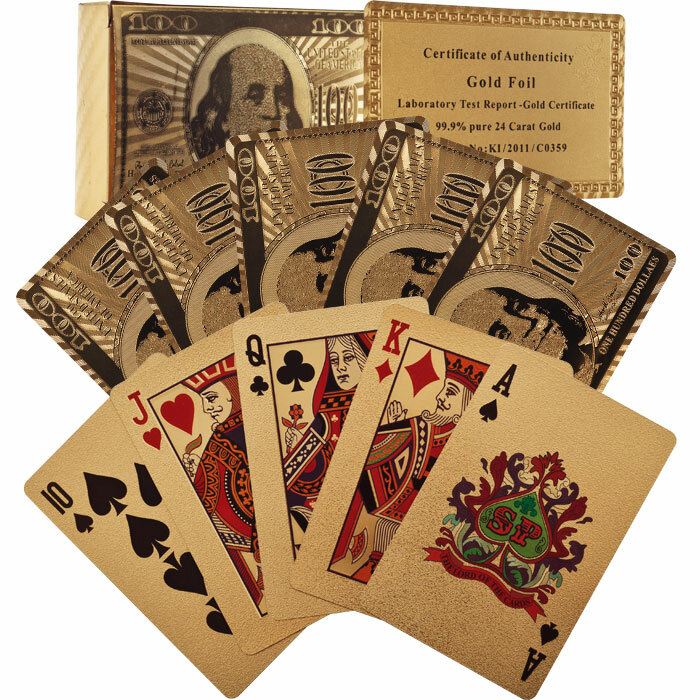 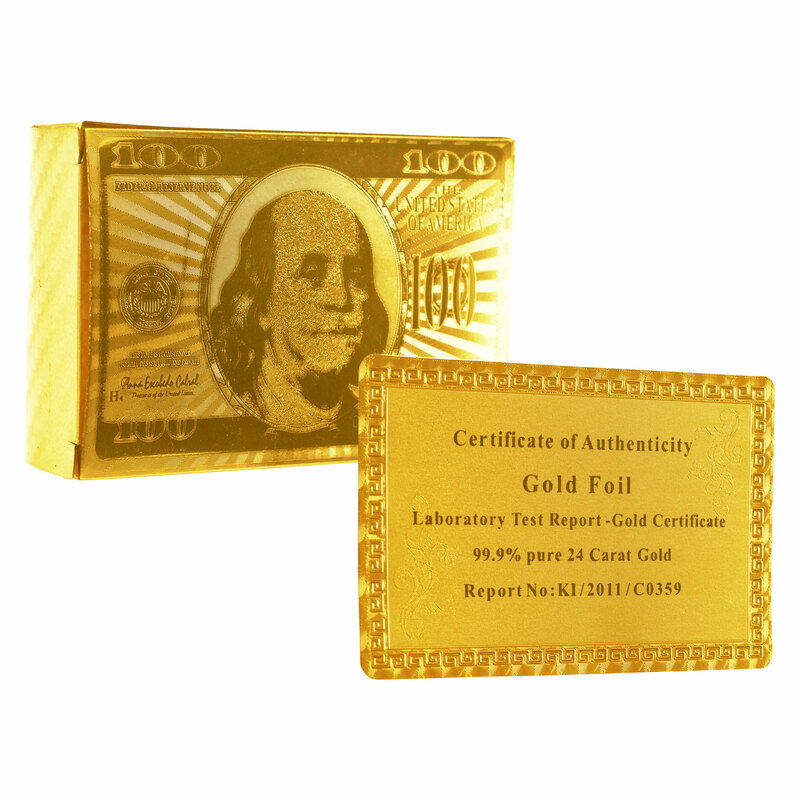 These amazing cards are made with certified 99.9% 24 carat gold and feature a beautifully rendered etching of Ben Franklin on the hundred dollar bill. 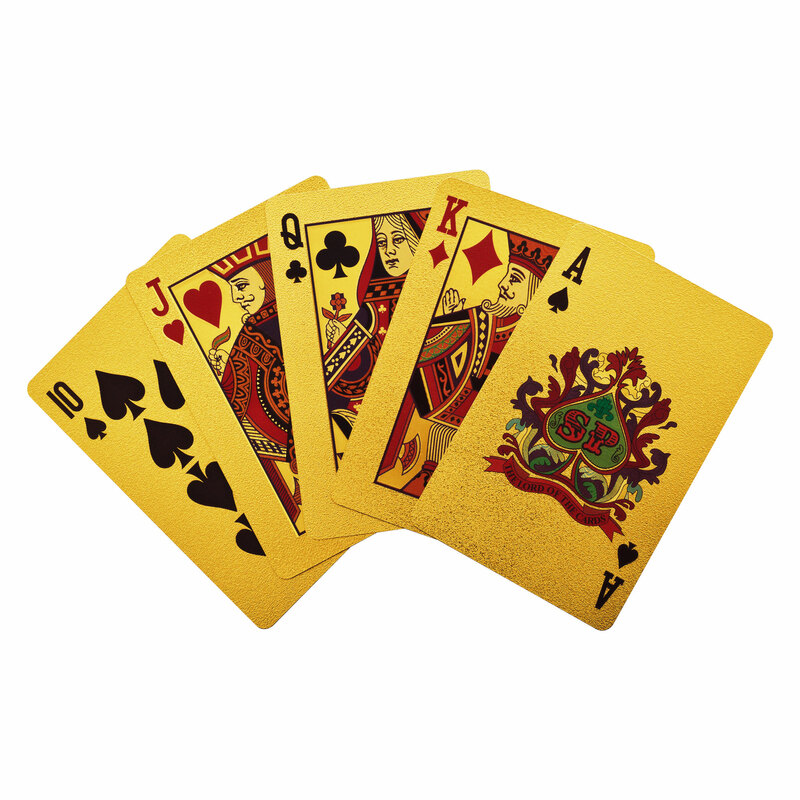 Bring style and class to any game you choose with the Trademark Poker 24k Gold Foil Playing Cards.